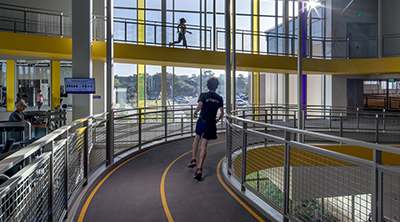 Indoor jogging trail with a 570 ft. inclined trail portion with 3 degree slope between levels will enable joggers to run up/down between floors. 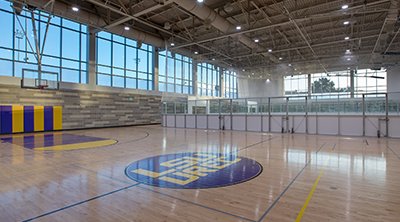 Court spaces include a MAC Gym and 3 multi-purpose courts lined for basketball, badminton, futsal, handball, & volleyball. 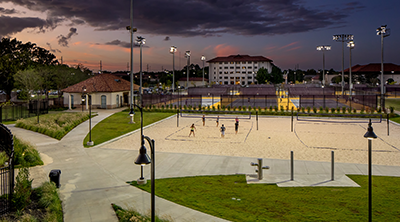 9 tennis courts and 360 additional (2 hour) parking spots are available.